Pro Teams Score with Direct-to-SportsFan Marketing – StratGo Marketing. Plug-in marketing department services. Increasingly, professional sports teams are taking their important communication messages directly to fans. Powered by the ubiquity of the Internet and fan tethering to social media platforms, direct-to-sportsfan (D2SF) marketing offers pro teams an unprecedented, and unfiltered, communication vehicle to their fans and season ticket-holders. 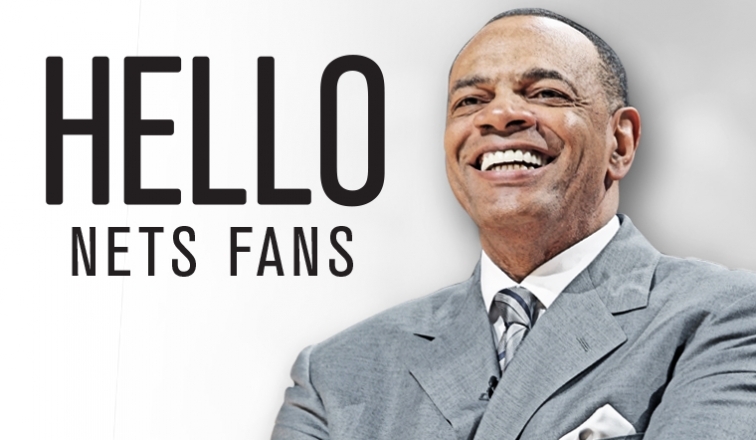 Brooklyn Nets Head Coach Lionel Hollins. Photo: Brooklyn Nets website. D2SF is a hybrid marketing strategy designed to enhance the relationship, connection and relevance between teams and their fans, especially season ticket-holders, via the creation and direct sharing of special access, customized content. It’s a combination package of marketing communications, content marketing, public relations, customer engagement and social media marketing. In-house Broadcasting. Teams create their own reporting and broadcast content, typically with their own, paid journalists. Coach-To-Fan Communication. This takes the form of letters, short videos and recorded telephone messages. Owner-To-Fan Communication. Public letters, season ticket-holder messages and tweets are commonly used. Overall, as a targeted sports fan recipient myself, I like to see what the coaches or owners have to say unfiltered. It’s a nice supplement to all the sports journalism. And, as a marketing observer, it’s interesting to note what and how teams decide to communicate. Let’s look at two examples from the past few weeks. Jason Kidd Letter to Bucks Fans. Posted 7/7/2014 to Milwaukee Bucks website. Really? Given Kidd’s career management history (it would take a separate blog post to explain), even a dedicated Bucks fan isn’t going to believe that statement. Like any other type of communication, a coach letter to fans needs to be well-executed, meaning it comes across as credible and believable. If not, it can backfire and create problems. Hollins comes across as genuine. He states that he is going to meet with key players and get their input (by the way, a great tip for new leaders of any organization). He adds that “while we are individuals, our players will have to come together as one and make sacrifices for us to be successful.” Another great team tip, especially in the sports world. What’s particularly important is whether D2SF communications are guided by and connected to the team’s overall strategic brand marketing; and whether there is any indication of effectiveness. When integrated into the team’s brand marketing and customer engagement strategy and plans, direct-to-sportsfan (D2SF) marketing can provide a unique connection point between fans and team. Like all other marketing, though, it’s judged on its merits. And there are risks and potentially painful consequences. The NFL’s New York Jets embrace direct-to-sportsfan marketing, and use it as a way to engage year-round. Click photo to watch NY Jets coach Rex Ryan break down the 2014 schedule for season ticket-holders. Photo: video screen grab from New York Jets website. Chief communicator is head coach Rex Ryan, who’s deployed in a variety of special fan communications. For instance, when the 2014 schedule was announced, Ryan immediately filmed a video for season ticket-holders. Not every coach could pull this off like Ryan, who provided a color-commentary assessment along with his usual enthusiasm. The first game was still five months away, but I was pumped-up for kickoff! Jets owner Woody Johnson also likes to speak directly to the fans. He can struggle as a public speaker, and is a better communicator in print. I am writing to you, a valued Season Ticket Holder, today to address 2014 and beyond. That is why, after today’s game, I informed the team of our carefully-considered decision: Rex Ryan will continue as Head Coach of the New York Jets. Thank you for your intense loyalty and unyielding support for the Jets. For maximum success, direct-to-sportsfan communications should be integrated into the team’s brand marketing strategy and annual plans. Doing so provides a basis for evaluating, if not directly analyzing, the effectiveness. That’s because there should be some goals or objectives that the D2SF tactics are supposed to achieve or help support. The marketing team can then asses and learn. Pro sports teams are increasingly deploying head coaches and owners to directly communicate with fans and build/maintain engagement. This direct-to-sportsfan marketing strategy (D2SF) offers a unique brand management tool to score points off the field.